What’s so great about a great room? Planning living spaces for how you live. Once upon a time a floor plan’s living space was divided into rooms with specific purposes. A kitchen, a dining room, a formal living room, a family room, a den, a play room…each had its role and cast of characters. The formal living room was for guests, the play room was for kids, the den was for dad, etc. 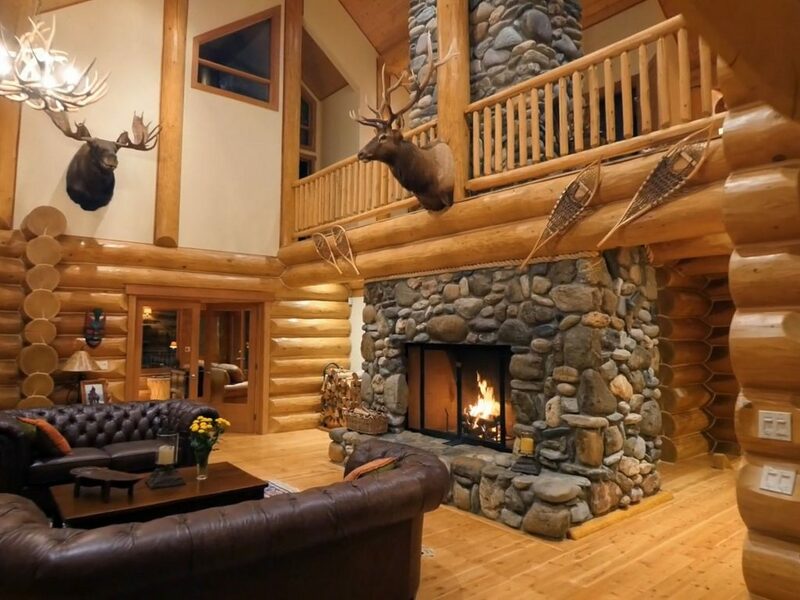 While the largest log homes may still include some of these more exclusive areas, it’s far more common for log cabin owners to want rooms that bring families closer rather than separate them. 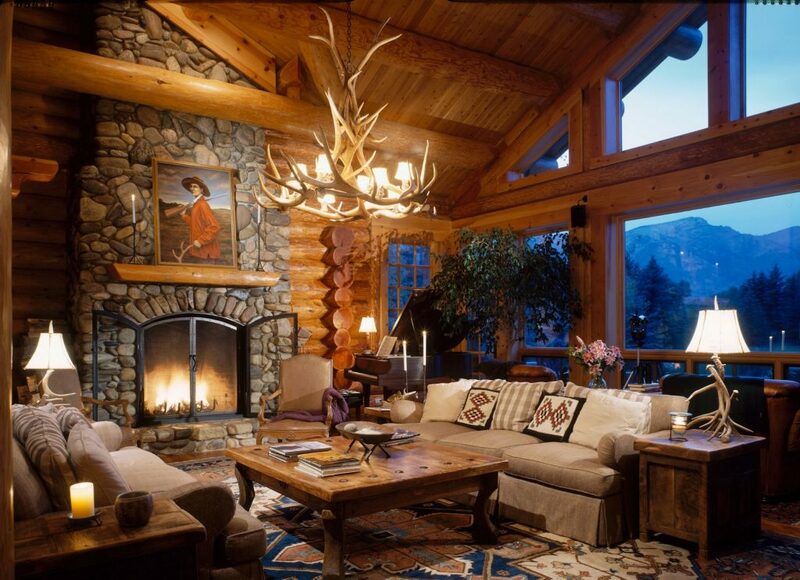 Whether you’re interested in a western theme ranch house, a trapper’s cabin style getaway or a luxurious lodge, the layout and design are up to you! Plan spaces that work for the way you live and enjoy the process of choosing decor pieces that express your personal taste. Popular in all building styles, open concept living is particularly suited for log construction since it allows natural light to fill every corner. 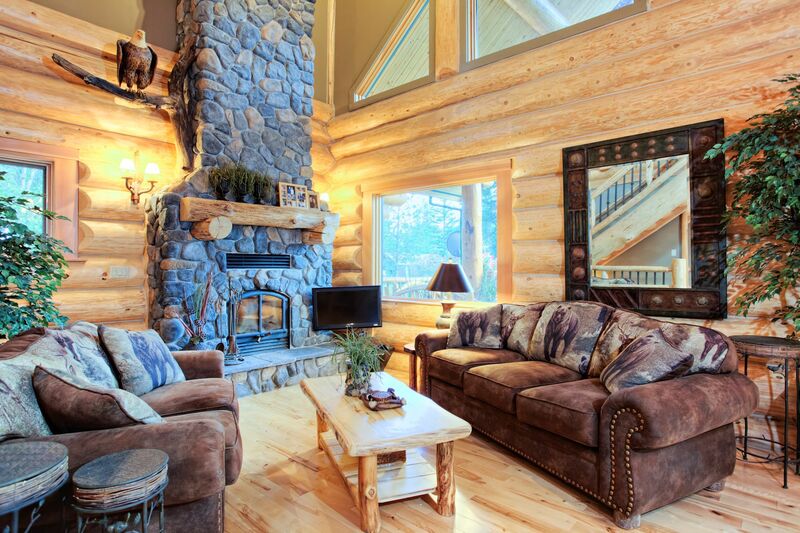 Logs absorb up to 30% more light than other wall surfaces so proper illumination is essential. Why not put daylight to work for you? High ceilings visually increase the size of any room while dramatic focal points like rock fireplaces invite attention as they draw a group together. 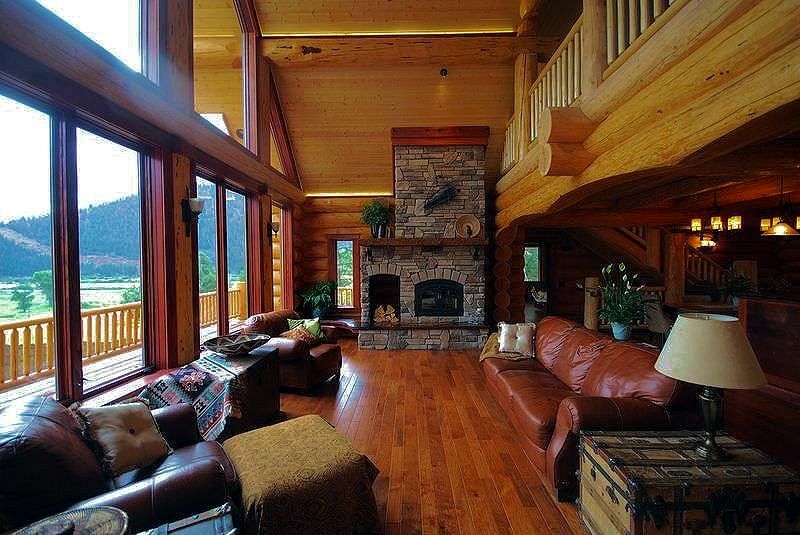 After dark you’ll love the warm glow of the wood as it makes even the largest log living spaces feel homey. In fact, the warmth is more than an illusion since the thermal mass of log walls allows them to hold heat from the day and release it slowly at night. With 26 foot ceilings, the room below could feel cavernous, but spectacular log trusses become decorative elements providing character AND structural support. 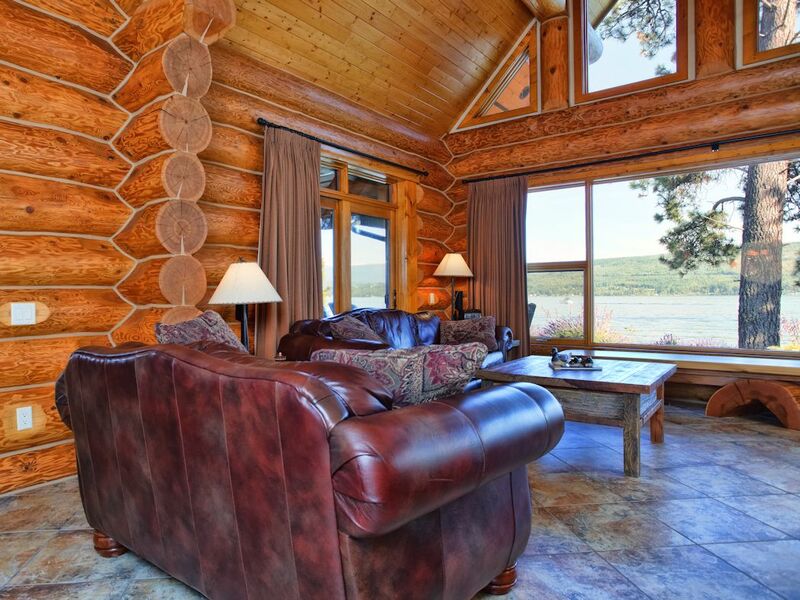 One of the most appealing aspects of a log house is the opportunity to appreciate the strength of the logs and the skill of the craftsman displayed throughout your home. Once considered primitive shelters, log cabins have grown into status symbols, representing traditional values in a modern world. Enjoy rugged luxury and the lifestyle it represents. Let open living spaces encourage family and friends to flow easily from one room to the next, catching up on stories, sharing laughter and conversation. 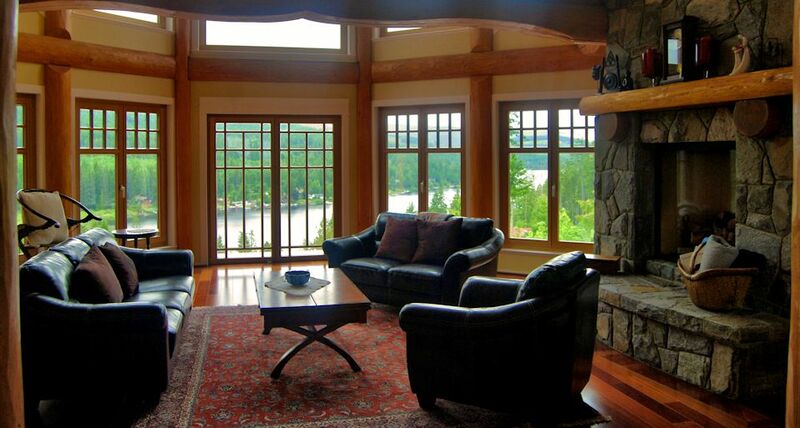 Upright natural log posts frame a panoramic lake view in the two story post and beam living room below. Ideal for unusual room shapes, the versatility of post and beam allows you to be creative with your design AND maximize the window-wall ratio. 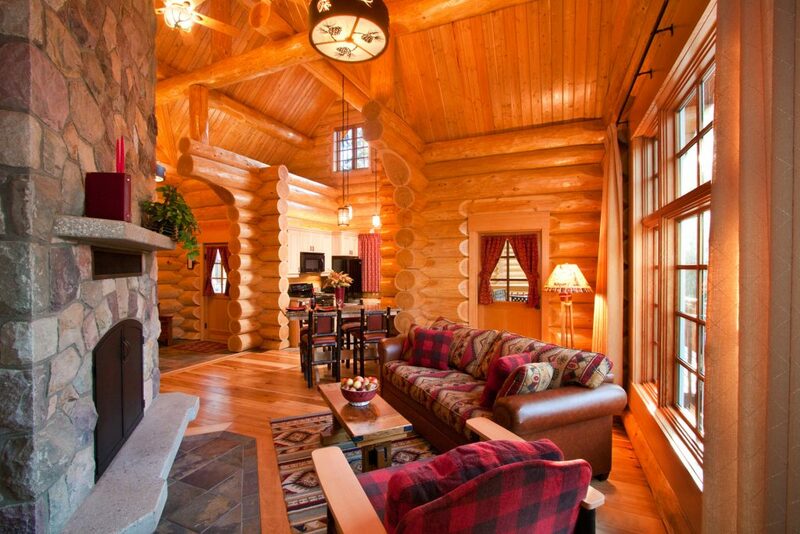 A log home that features a combination of log walls and log post and beam is sometimes called a “hybrid”. 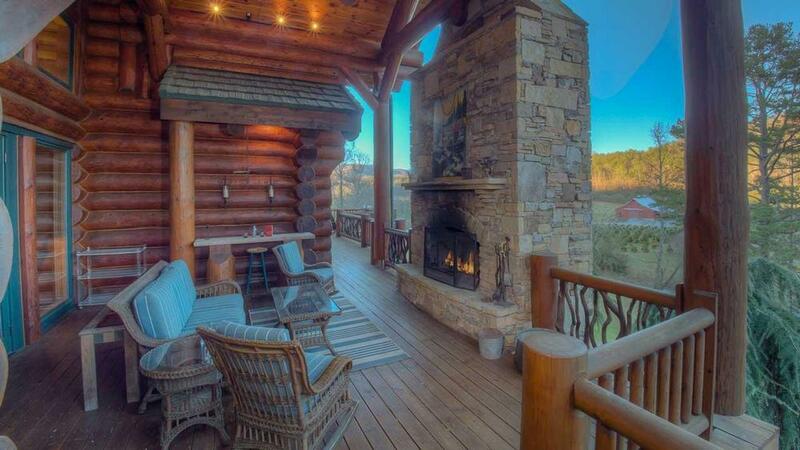 Consider access to the outdoors as you work with a draftsman to design your unique custom log home. Many families enjoy living rooms that open into outdoor porches or terraces for a seamless transition between inside and outside when the weather is warm. You’ll always have enough room for more guests during summertime entertaining! Open living spaces make sure no one feels left out! Guests, rather than being placed in rarely used spaces reserved for “company”, are now comfortable in kitchens where entertaining becomes more intimate. Welcome your favourite people into a home that celebrates who you are and how you live! The floor plan of your home should make your daily routine easy and entertaining guests a pleasure. Don’t be afraid to describe what you want! 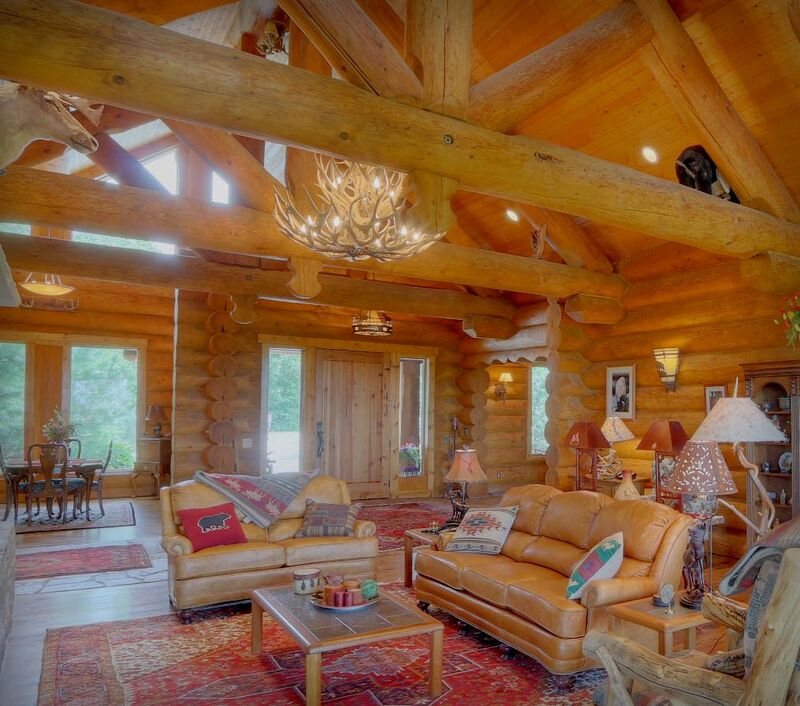 Wide open spaces inside your log home! 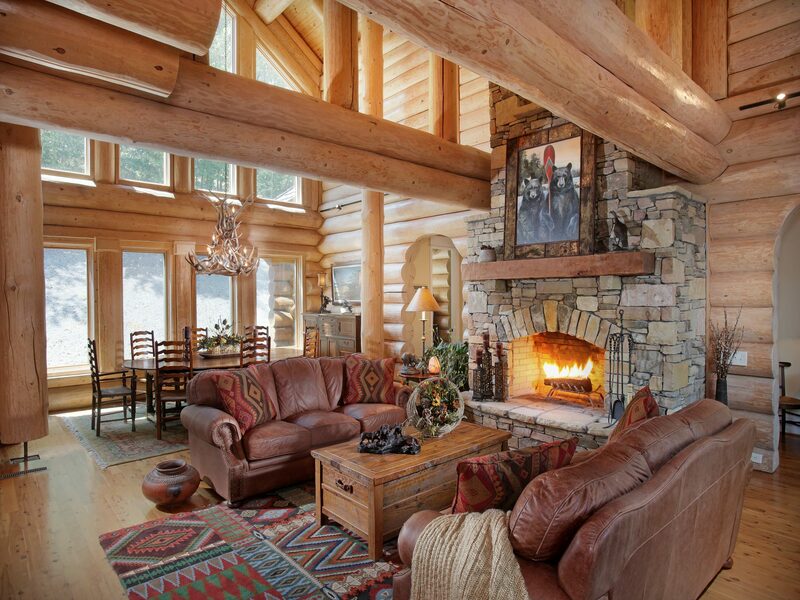 While a custom log home lets you personalize the layout of your living space, the most popular log home plans feature open concept living spaces that gather people together to create happy memories for generations!